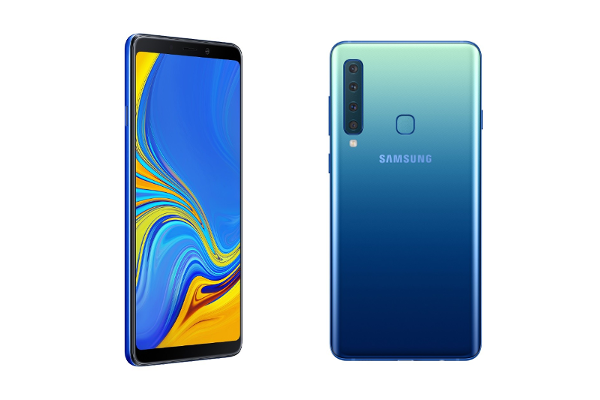 SAMSUNG's Galaxy A9 (2018) is the World's first quad camera smartphone. Samsung today announced the Galaxy A9 at an event held in Kuala Lampur, Malaysia. The Galaxy A9 is the world's first smartphone with rear quad camera. It comes with 6.3" FHD+ screen, up to 8GB RAM and Android 8.0 (Oreo). The Samsung Galaxy A9 sports a 6.3" Full HD+ Super AMOLED display with a 19:9 aspect ratio. It's backed by a Qualcomm Snapdragon 660 processor, coupled with 128GB storage and up to 512GB of expandable memory. It's available in 6GB/8GB RAM variants with 3,800mAh battery and operates on Android 8.0 (Oreo). The Galaxy A9 is equipped with four cameras: 8MP ultra-wide sensor, a 24MP main sensor, a 5MP depth sensor and a 10MP telephoto sensor with 2x Optical Zoom at the back. On the front, the smartphone features a 24MP camera. The Galaxy A9 features Bixby, Samsung Pay and Samsung Health and you can take advantage of the many multi-tasking benefits the Galaxy A9 offers, including App Pair. The Galaxy A9 is available in three colors; Caviar Black, Lemonade Blue and Bubblegum Pink.